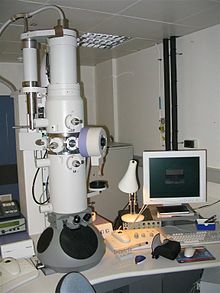 In the following year, 1933, Ruska built the first electron microscope that exceeded the resolution attainable with an optical (light) microscope. 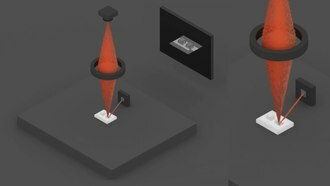 Four years later, in 1937, Siemens financed the work of Ernst Ruska and Bodo von Borries, and employed Helmut Ruska, Ernst's brother, to develop applications for the microscope, especially with biological specimens. Also in 1937, Manfred von Ardenne pioneered the scanning electron microscope. 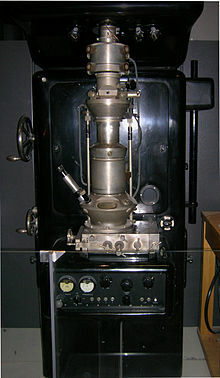 Siemens produced the first commercial electron microscope in 1938. The first North American electron microscope was constructed in 1938, at the University of Toronto, by Eli Franklin Burton and students Cecil Hall, James Hillier, and Albert Prebus. 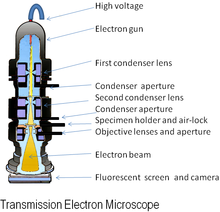 Siemens produced a transmission electron microscope (TEM) in 1939. 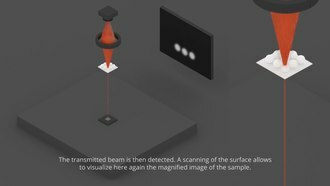 [clarification needed] Although current transmission electron microscopes are capable of two million-power magnification, as scientific instruments, they remain based upon Ruska’s prototype.